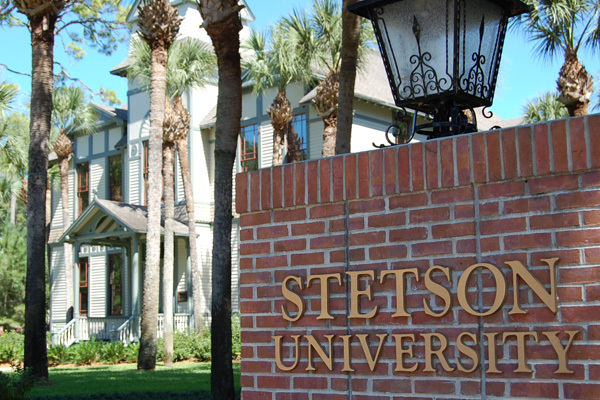 Sean accepted the position of Assistant Professor of Piano at Stetson University's School of Music, starting Fall 2017. He will be replacing Professor Michael Rickman who retired this month after 34 years as head of the piano department and artistic director of the Great Pianists at Stetson series. Read Stetson Today's article about Sean's new appointment here. Sean finished recording Robert J Bradshaw's eerily beautiful Æternam Habeas Requiem with soprano Heather Roberts! Watch the YouTube video here. Here's a young pianist - judging by his photographs, very young - with a very individual, almost introspective view of Chopin's Preludes. Despite the energy displayed in pieces such as Nos. 12 and 14, Kennard plays most of them very delicately yet, oddly, with little pedal, relying on the natural resonating qualities of his instrument to sustain the tones. I found his approach to be quite original and affecting if not strongly memorable. Conversely, his Scarlatti is appropriately cheerful and upbeat, though we only get two of his little sonatas. Yet it is in his exuberant performance of "Three movements from Petrouchka" that Kennard really seems to emerge as a strong personality. His playing is full of life and sparkle as well as little touches, of articulation and rubato, that mark him as a pianist sensitive to nuance even in a sparkling tempo. Kennard, who studied at both the College of Charleston and Juilliard, is apparently affiliated with the former institution. Cougar Classics seems to be the recording organ of the College. I could not find a record number anywhere on this disc or its attendant notes, nor could I pull up Cougar Classics' website on my computer (it said "Loading" for 15 minutes, but never loaded the page). Kennard's own website has no information regarding this specific disc. Rhapsody Music lists the disc with its contents, but no record number. If you have a broadband connection with all of your Adobe Flash things up to date, you can probably access the website www.cougarclassics.com and order it there. By today's standards, when child prodigies make their debuts at the age of 10 or younger, Sean Kennard, born in 1984, got a late start. He didn't begin playing until he was 10 and didn't make his formal recital debut until 1995, 11 years later. Sometimes, though, it's worth waiting for talent to ripen, and in Kennard's case the wait has definitely borne fruit. I gather from his bio that Kennard is a native of Hawaii, where he began his studies. 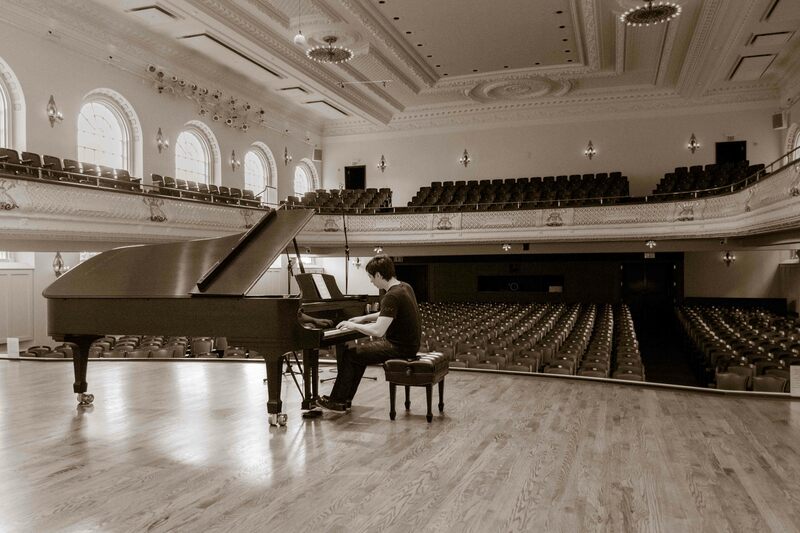 Three years later, he was accepted by the Curtis Institute of Music, where in his last year there he won the piano department's Sergei Rachmaninoff Award. 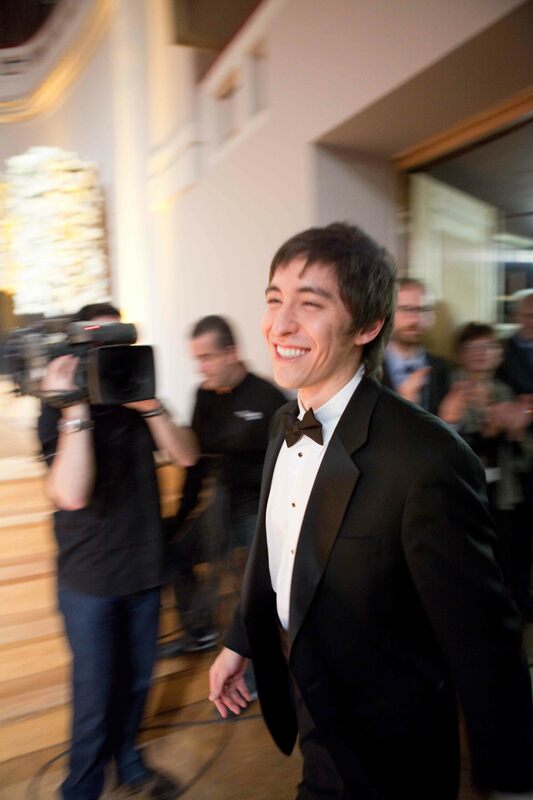 He is currently enrolled at Juilliard, where he is pursuing advanced study under Jerome Lowenthal and Robert McDonald. Ever since Bach offered his twin salutes to tempered tuning in the form of The Well-Tempered Clavier 1 and 2, composers have been fascinated by the idea of cyclic excursions through the major and minor keys, and none was more taken with the idea than Chopin, who wrote his 24 Preludes between 1835 and 1839. Like Bach, Chopin also visited all 24 major and minor keys, but his expedition took him through the cycle via a different route. Where Bach advances by semitones, following each major key prelude and fugue with a prelude and fugue in the parallel minor key, Chopin follows each major key prelude with a prelude in the relative minor key and then moves up by a fifth through the Circle of Fifths. Other than that, Chopin's pieces are freeform, if you wish to praise them, or formless, if you wish to criticize them. And they range in duration from a mere 32 seconds in Kennard's performance (No. 10) to 4:49 (No. 15). But the timings don't necessarily reflect the lengths of the pieces in measures. The shortest (No. 9) is only 12 bars long but lasts for 1:25 because it's marked Largo. Kennard's mastery of Chopin's idiom manifests itself in fingerwork that floats featherlike over the keys in the fast-paced preludes, giving the impression of complete effortlessness and in an emotional responsiveness to the poetics of the slow pieces that is quite touching. While I wouldn't necessarily say that Kennard outclasses Ashkenazy, Rubinstein, Moravec, Ohlsson, or half a dozen other players in this repertoire, he surely equals them. 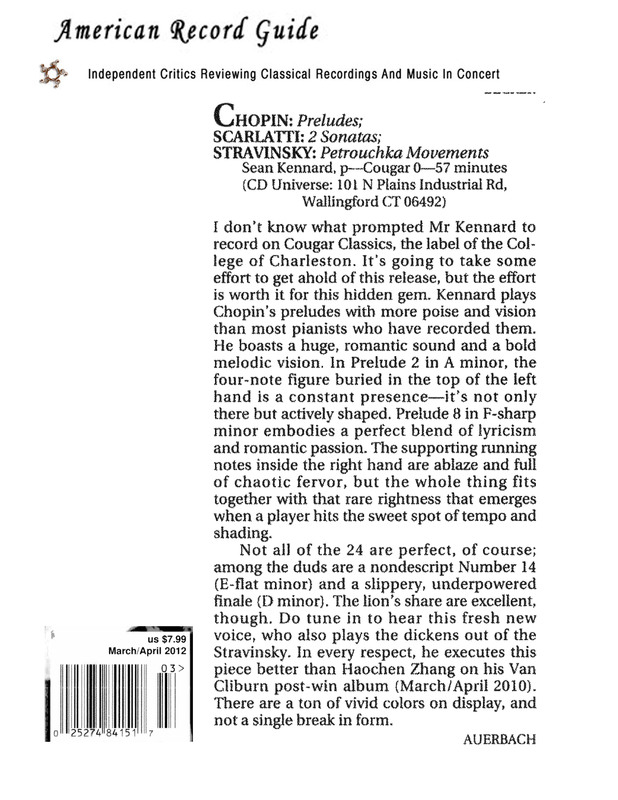 Though I haven't heard Sheila Arnold's Preludes performed on a restored Chopin-era Erard, Dave Saemann gave her recording a rave review in Fanfare 33:6. Two other Arnold CDs containing works by Schumann and Brahms that I have heard and reviewed received very strong recommendations from me. Kennard, of course, plays on a modern Steinway, and so is not directly comparable. Among recent entries in this field, at least among those I've heard, I'd have to say Kennard is a compelling contender. The remainder of Kennard's program adds considerable diversity to his disc. Horowitz was a dedicated advocate of Scarlatti on piano, often programming and recording the composer's sonatas. There's a live 1981 recording from the Met of the pianist playing the F-Minor Sonata that Kennard performs here, though currently I find no Horowitz recording of the B-Minor Sonata that Kennard also gives us on this disc. 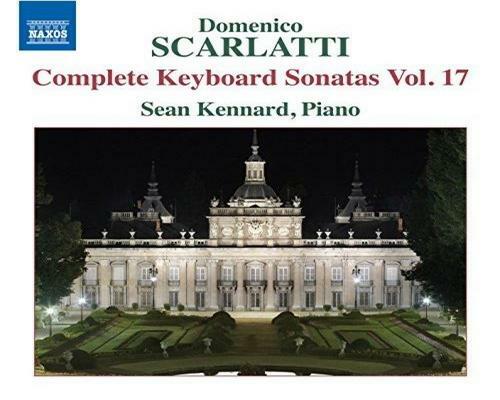 Scarlatti's music is so spirited and such an unalloyed joy to listen to, one laments the sonatas' brevity and the fact that Kennard offers only two of them; there would have been plenty of room on the disc for several more. Stravinsky's Three Scenes from Petrushka are the composer's own reworking of material from his ballet. Written for and dedicated to Artur Rubinstein, the pieces are not transcriptions of existing set numbers in the score, per se, but rather a sort of newly composed reprise of material that occurs throughout the original ballet and reconsidered, if you will, for piano. The work has gained a good deal of popularity among pianists, many of whom have recorded it. But according to pianostreet.com, Rubinstein was not one of them. That, however, turns out to be a false assertion, for disc number 140 in a 142-CD Sony set of the pianist's complete RCA recordings made between 1928 and 1976 does contain Stravinsky's Three Scenes from Petrushka. Kennard plays the pieces with the sharp articulation and steely touch the music calls for. His passagework glints with flashes of color like the facets of diamonds reflecting beams of light. In sum, this is a very desirable disc. It may come across as a bit of a homegrown effort - no notes other than a brief bio of the artist; photography, artwork, and album design by Kennard himself; and the record label apparently a house product of the College of Charleston's School of the Arts - but if so, it's a very classy one. Unfortunately, as of this writing in late February 2012, I've not been able to find the disc listed by any of the usual suspects. If it's still not available through regular channels by the time you read this, I'd advise you to visit cougarclassics.com or contact recordings@cougarclassics.com via e-mail. I promise you it's worth the effort. 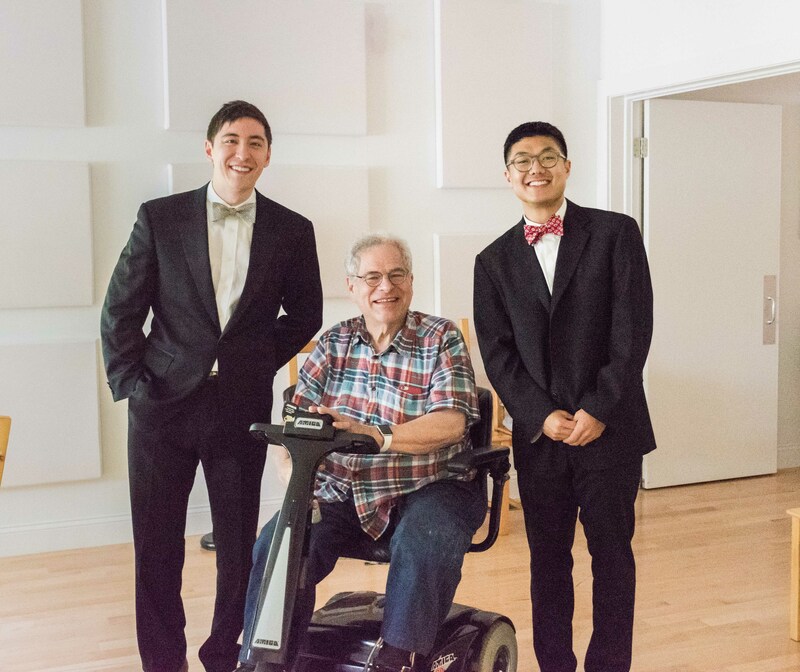 Sean was invited by Dr. Craig Wright, Henry L. and Lucy G. Moses Professor of Music in Yale's Music Department and former Dept. chair, to be a Teaching Fellow for 2015. 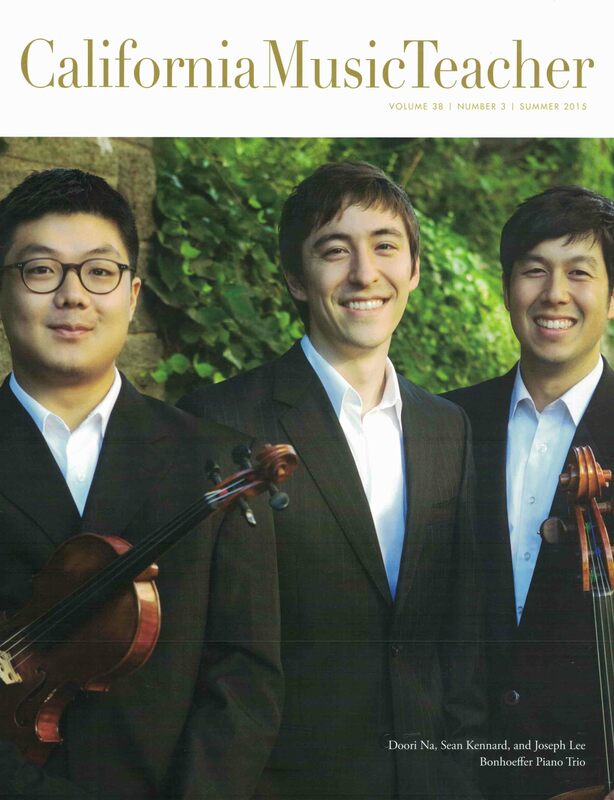 This year Sean is the only doctoral candidate from Yale's School of Music to hold the position. 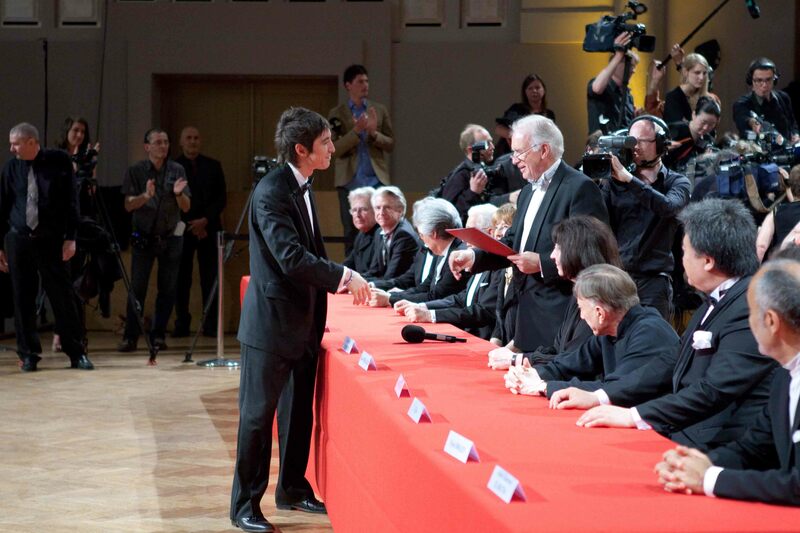 Sean was named a laureate at the Queen Elisabeth Competition in Brussels, Belgium, performing Brahms Concerto No. 1 in D minor at Palais des Beaux-Arts with Marin Alsop and the Orchestre National de Belgique. "...such a tour-de-force [Rhapsody on a Theme of Paganini] showed Kennard the perfect interpreter. Clean, expressive, with stunning octaves and chords, he knew how to phrase with good taste and palpable emotion in the Andante cantabile of the famous 18th variation. While the audience was still digesting the impact provoked by the pianist, Kennard gave us another Rachmaninov also written on a violin piece by another composer, in this case the Austrian Fritz Kreisler. 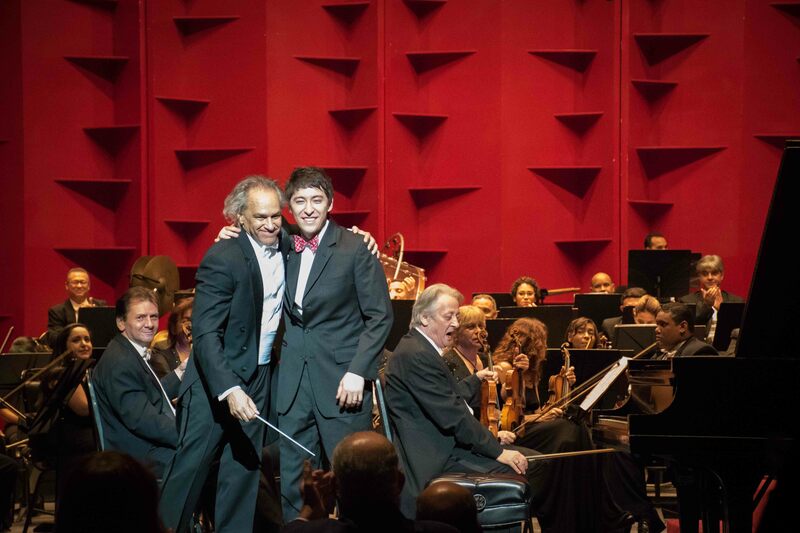 A memorable moment of virtuosity and musicality, the phrases overflowing with grace and humor. A remarkable pianist." 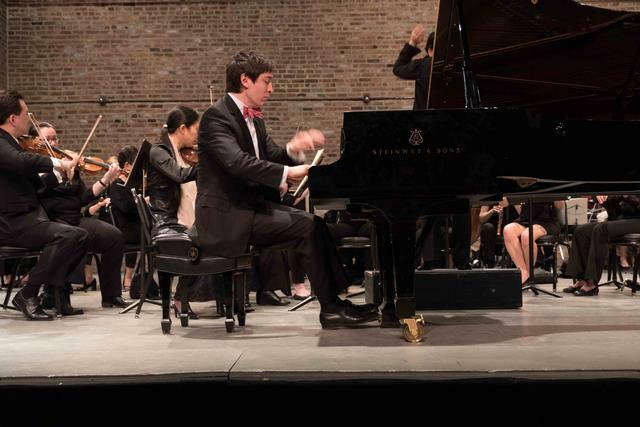 Sean's performance last month of Rachmaninov's Rhapsody on a Theme of Paganini was enthusiastically received by the Montevideo audience and critics alike. Here is a translated excerpt from El Pais's review: "The young American pianist immediately revealed himself as a high ranking artist. Kennard is of an excellent school of playing but above all of the highest musicality, and showed perfect rapport with the character of the work (Rachmaninoff's Variations on a Theme by Paganini). 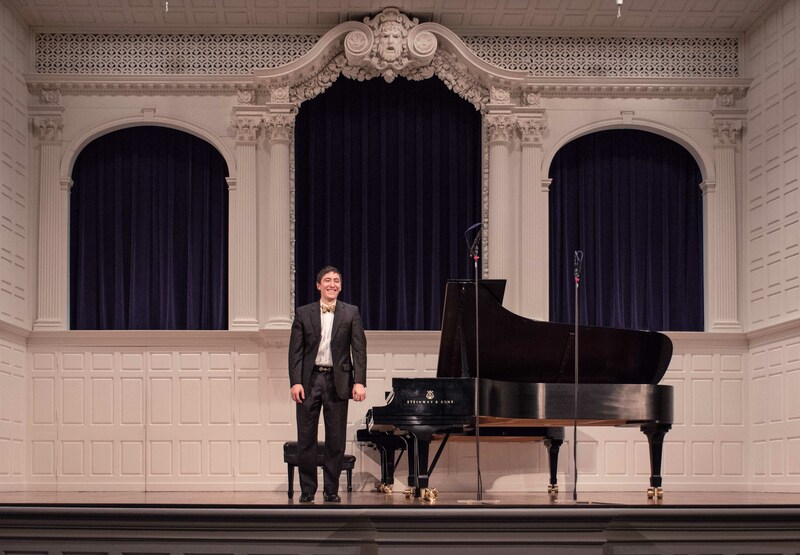 With impeccable technique and a generous, large sound the gifted pianist clearly touched and moved the audience." Read the full review in Spanish here. 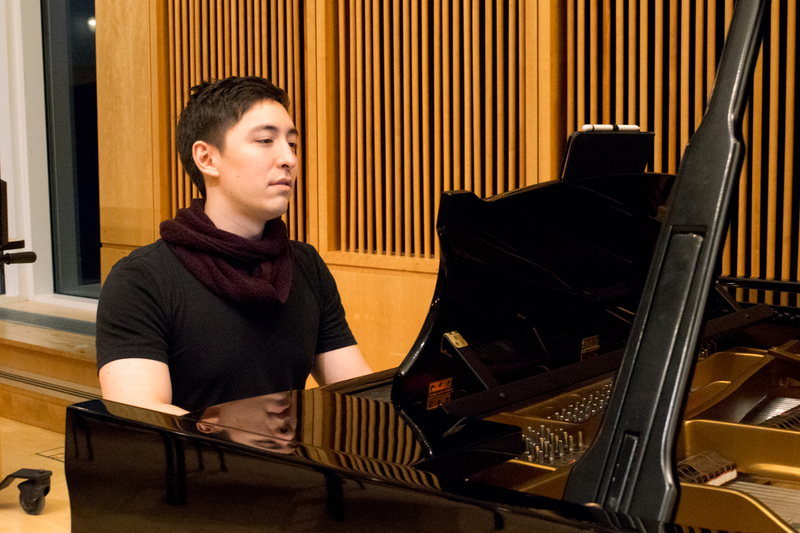 Sean submitted his doctoral thesis, "Resonance, Motive, and Form in Late Solo Piano Works of Toru Takemitsu," and passed qualifying oral exams, completing the residential portion of the Yale School of Music Doctor of Musical Arts degree program. Here are a few highlights: "There was nowhere else he wanted to go, nowhere else he wanted to be. Sean moved as if asleep, except for his fingers, which raced like lightning. His focus was on what was right in front of him, and what was right in front of him was the piano, its polished face reflecting his own... "Something amazing happens when the artist doesn't try to sell the music. Sean collaborated in two performances of Arnold Schoenberg's pivotal work, Pierrot Lunaire (1912). 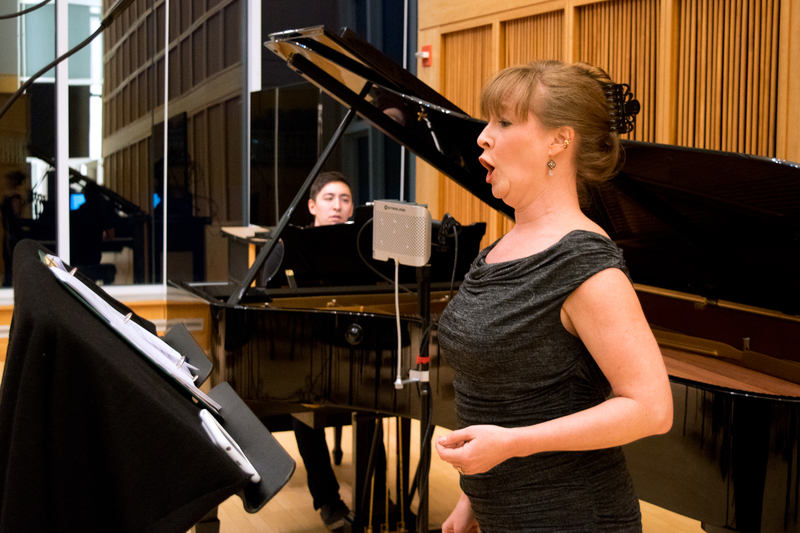 Sean gave his second recital at Yale University for the residential portion of his Doctor of Musical Arts degree. 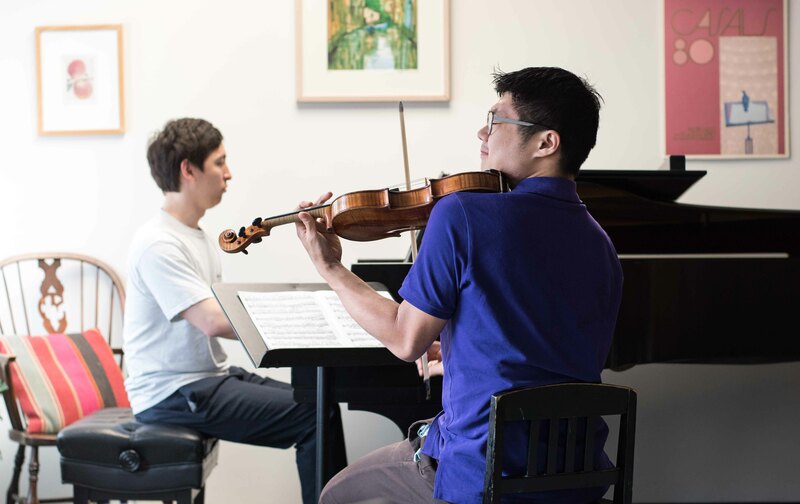 The program included works by Debussy, Messiaen, Takemitsu, Ravel, and Mussorgsky. Finished recording 18 sonatas by Domenico Scarlatti to be released by Naxos in 2016.